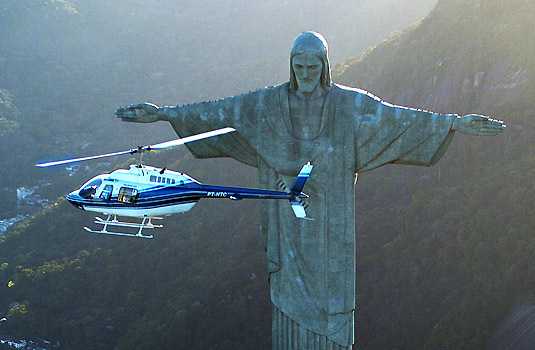 A great vacation spot like Rio can never be short of tourist attractions. Solitary travelers may not be accustomed to traveling in groups. However, those who don’t mind organized tourists activities have the option of joining in a group tour. A number of tour operators offer package deals for groups, so if you are in a reasonably sized group of four or more, then a package tour may be a viable option. If you have limited time then you can join a city tour, which most tour operators offer tourists. These include sightseeing to Corcovado and the statute of Christ the Redeemer, Sugarloaf , Santa Teresa, museums and more. You can save a lot on traveling if you don’t mind being allotted a fixed time at each venue. To understand the lifestyle of over thirty percent of Rio’s population who live in the favelas or shantytowns around Rio, a guided tour is essential. Most waiters and maids you will meet on your travel across the city live in favelas. A favela tour will give you an insight into what reality is for this alternative society. While you may be good at shaking a leg or two, the samba is something you need to learn from an expert at a samba school. These schools prepare their entire act for the Rio Carnival all the year round. From float decorations to samba and carnival themes, each of the twelve samba schools prepare for the big night. You can visit these schools on a tour and also learn a few steps from some of the most famous samba dancers in Brazil. Tour operators that are licensed by the Department of Tourism always maintain a high standard so make sure you sign up for a tour with a licensed operator. Prices vary according to tours, however, the good thing is you can take advantage of the stiff competition and get more value for your dollar.